Our Sheffield Wedding Photography duties takes us to some wonderful, interesting and often new locations. This photograph was taken very close to the JG Graves Woodland Discovery Centre in Ecclesall Woods on the outskirts of Sheffield and was for us a new wedding venue in 2018. The centre nestling amongst the ancient surrounding woodland provided a beautiful backdrop for some post Wedding Photography with our fantastic bride and groom. This centre is fantastic venue for something a little out of the ordinary at which to tie the knot in Sheffield, somewhere quite different to anywhere else in Sheffield where we have photographed weddings. 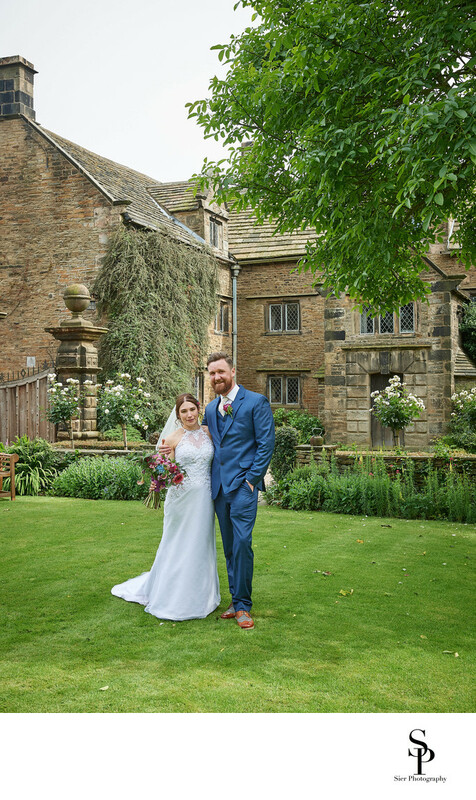 We took the opportunity of being in this captivating and tranquil location to grab some photographs of our happy couple during this quiet few minutes following their wedding and away from their wedding guests. Taking this time together is valuable to our couples as it gives them time to reflect together on their new status of being married, and is a short break to recover as they head towards the rest of their exciting day together with family and friends. It is also an excellent time to use our photography skills to create some memorable images of the newlyweds for their future as they begin their life together. 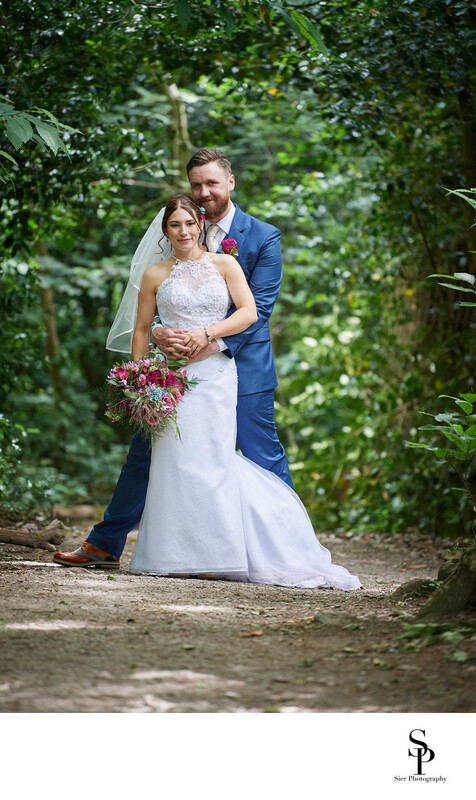 We have photographed many wedding in and around Sheffield but this was our first woodland wedding, and what a wonderful occasion it was for all! Following the wedding ceremony at the Woodland Discovery Centre we moved into Derbyshire for some wedding images of our couple overlooking the Hope Valley, then to Padley Gorge. 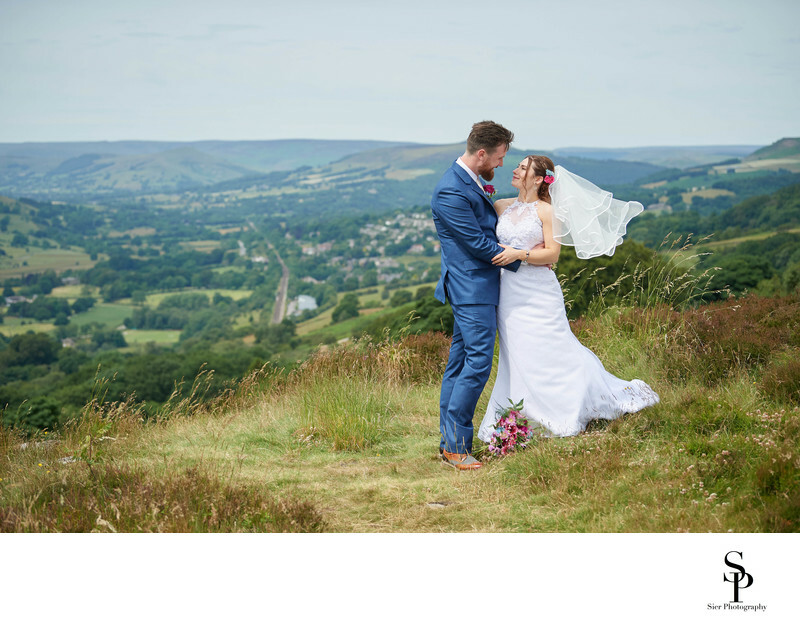 The Surprise View offers some stunning views across the Hope Valley, over Hathersage and beyond and makes a different backdrop for wedding images. The final destination for the day was Woodthorpe Hall located near Dronfield in Derbyshire for the wedding reception, speeches, wedding breakfast and dancing late into the night complete with shopping trolley bonfire! 1/200; f/2.8; ISO 450; 200.0 mm.